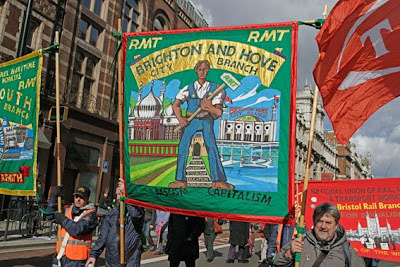 The recent mobilizations around the g-20 in the UK have brought out the traditional colorful banners used for centuries in Britain. 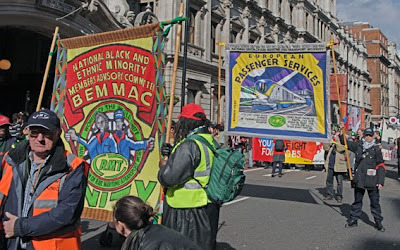 The history of these banners stretches back to the struggle for an eight hour day. 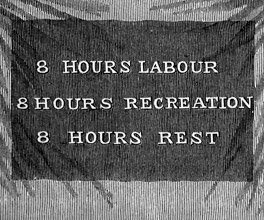 From the Victoria Museum web site (Australia): While the original 8 Hour Day banner was made of bunting, most of the early banners were either silk or calico. These were vulnerable to the weather; and many were reportedly destroyed by high winds. 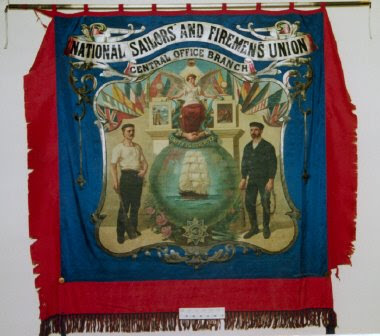 More robust canvas banners became common from the 1890s. Banners were too large and too heavy to be carried by hand. They were mounted onto horse-drawn drays and later onto lorries. 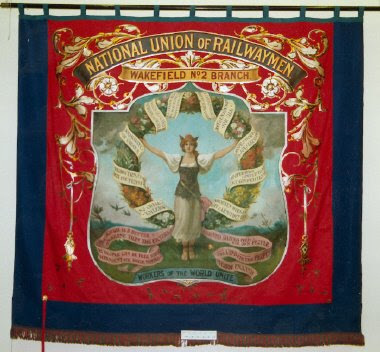 Early in the 20th century, complicated frames were made so the banners could be lowered as they passed under the power and tram lines that were becoming part of the cityscape.